Angle closure glaucoma is when there is a sudden, and often painful, increase in the pressure in the eye. The outflow of the fluid inside the eye becomes impaired. It can be treated with medication and/or surgery. Fluid called aqueous humour is continually produced inside the eye. It continually drains out too. Anything that impairs the drainage can contribute to an eye problem called glaucoma. Hypertension means ‘high pressure’, and ocular hyper tension is high pressure inside the eye. The eye produces fluid called aqueous humour, which should drain from the eye at the same rate at which it is produced. If the drainage is impaired in some way this can lead to an increase in pressure known as ocular hypertension. In some people this can damage the nerve fibres at the back of the eye, causing sight loss. This is often gradual, painless and unnoticed. An eye exam can pick up high pressure in the eye and establish if it is causing a problem called glaucoma. Glaucoma can be treated with eye drops or surgery. The optic nerve is made of a bundle of nerve fibres, leading from the nerve cells that detect light at the back of the eye, eventually to the brain. 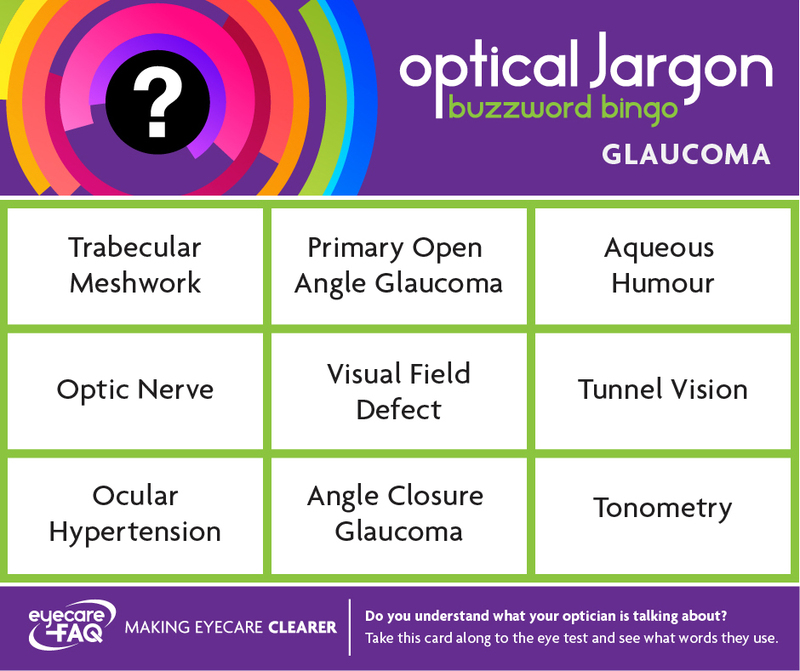 Primary open angle glaucoma is one of the leading causes of treatable sight loss. It mainly happens in people aged 40+ and the risk increases with age. It happens when the pressure increases inside the eye, damaging the nerves at the back of the eye. It often happens slowly, without causing pain. You may not notice the gradual damage to your vision. An eye exam can pick up signs of glaucoma. The optometrist will check your field of vision and the pressure inside the eye, as well as examining the visual appearance of the back of the eye. Taking these three things into account, they can see if you are at risk of glaucoma and refer you for treatment at the hospital if you need it. Tonometry is measuring the pressure inside the eye. In some people, raised pressure can be a sign of an eye disease called glaucoma. Eye pressure is measured in millimetres of mercury (mm Hg). Normal eye pressure ranges from 10 to 21 mm Hg. The trabecular meshwork is in the eyes drainage channel. It acts as a filtration system for the aqueous fluid draining from the eye. Your field of vision describes everything that you can see, from the centre to the very edge, when your eyes are in a fixed position. When you have an eye test the optometrist will check all round your field of vision. Areas of poor vision within your visual field are known as a visual field defect. They can be a sign of a range of eye problems. If your optometrists spots a new visual field defect they will refer you to a specialist eye doctor at the hospital for further investigation and treatment if needed.